Two people were bitten by sharks in Florida this past weekend. Both occurred in Jacksonville near the Mayport Area. The first incident occurred Saturday, October 29 in front of an area called Mayport Poles. The poles are wood metal-capped markers posted to indicate the Naval Station Mayport’s border. Surfer Derrick Shoup was bitten on his right hand around 1 p.m. The laceration appeared to be minor; no tendons were damaged but he did receive 17 stitches at a local hospital. 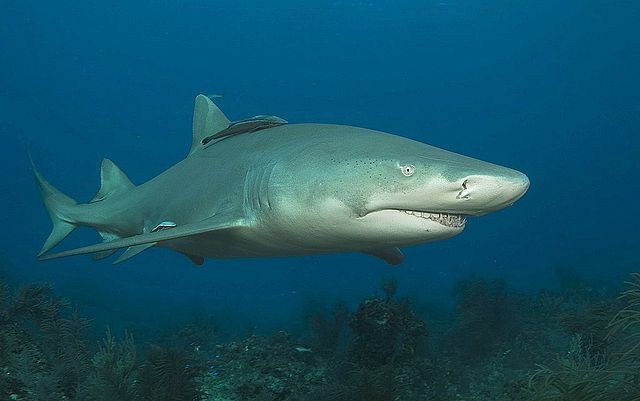 A second incident occurred October 30, when a 41-year-old man was bitten on the right foot by a bull shark. Daniel Adams, who was surfing off the naval station’s beach, suffered a non-life threatening wound. He was taken off base to Beaches Baptist Hospital. The attacks bring the world-wide shark attack bite count for 2016 to 91. Seven of which were fatal; 42 were reported in the US, with 30 occurring in Florida. Nineteen have occurred in Australia, three of which were fatal.